**THE TRAVELLER – France/Lebanon/USA – Saro Varjabedian – 100 min. with **WHAT ANA KNEW – USA – Zoë Smurr – 17 min. Followed by Q&A with Saro Varjabedian. 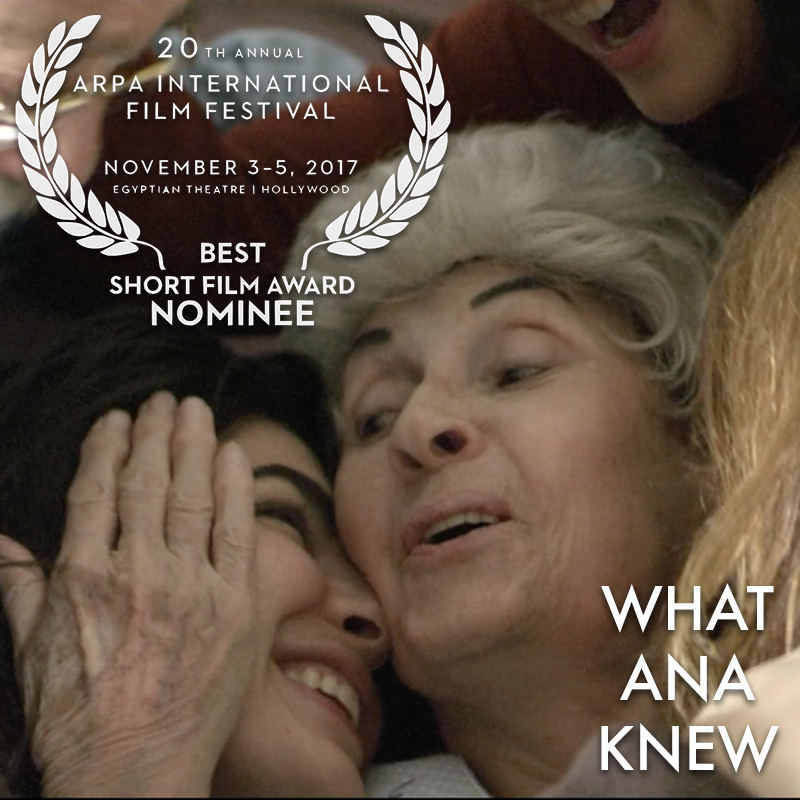 Our film is nominated for the BEST SHORT FILM AWARD at Arpa!